Social Justice and Empowerment Minister Dhani Ram Shandil praised the budget proposals and claimed that the State Budget 2013-14 would not only ensure the welfare of the weaker sections of the society but also would go a long way in socio-economic upliftment of poor and vulnerable. Minister said that he was grateful to the Chief Minister for allocating Rs. 1014 crore under Scheduled Castes Sub Plan, which would help in overall development of the underprivileged sections of the society. He also welcomed the proposals of allocating Rs. 200 crore for social welfare pensions adding that as many as 2,82,552 social security pensioners would be benefited from the same. He also lauded the decision of enhancing grant of re-marriage of widows from Rs. 25,000 to Rs. 50,000 and similarly enhancing the grant under Mukhya Mantri Kanya Daan Yojna from Rs. 21,000 to Rs. 25,000. He also hailed the provisions made in the budget for enhancing grant for inter-caste marriages from existing Rs. 25,000 to Rs. 50,000. Dhani Ram Shandil welcomed the proposals in the budget for overall welfare and women empowerment. He appreciated the announcement of setting up Mahila Kalyan Board for reviewing the policies related to socio economic development, health, employment, empowerment of women and above all their security. 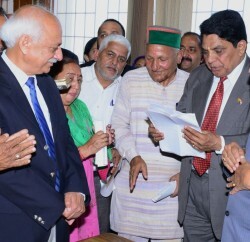 The Minister also lauded the decision taken to install CCTV cameras in important tourism destinations in the State and in Shimla town for ensuring the safety of women and also appreciated the decision for providing immediate Toll Free 108 helpline number to women for their assistance in case of any emergency. Providing 20 percent reservation quota for women in police force was also a welcome decision. 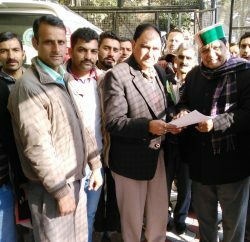 He hailed the decision of setting up ‘District Child Protection Units’ in districts Mandi, Chamba, Kangra and Shimla for protection and care-services to orphans and destitute children, besides, proposal of opening shelter homes for children of Shimla and Kangra districts till they were properly rehabilitated. He also lauded the decision of enhancing financial assistance for constructing houses under ‘Rajiv Gandhi Awas Yojna’ from Rs. 48500 to Rs. 75000. He said that 11 percent increase had been provided in Tribal Area Sub Plan which was now Rs. 369 crore which reflects the commitment of the Government for ensuring equal and overall development of tribal areas and welfare of tribal people. 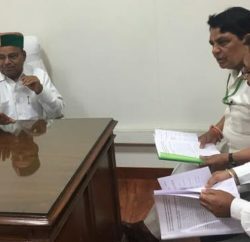 He said that the budget presented by the Chief Minister was common man budget and contains all the promises made by the Congress Party during the recently concluded Vidhan Sabha Elections.